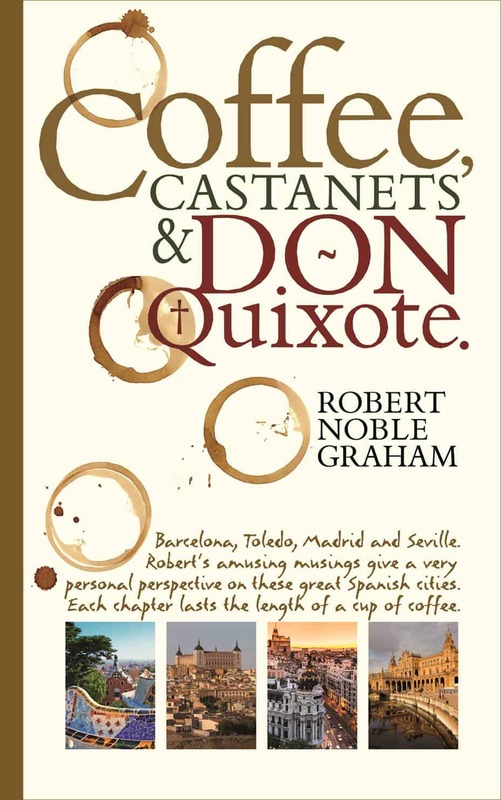 This is as near a book can get to an experience of Spain or at least of the four great cities it covers. The author travels sometimes in company and sometimes alone. As he explores the unique style of the great Catalan artists such as Miró and Dalí he encounters probably Europe`s most incompetent mugger on the slopes of Montjüic. Mugging is another of the arts for which Barcelona is renowned and the author takes pity on the young failure, wondering if he could arrange a correspondence course for him. He explores the strange world of Antoni Gaudí and walks across the city to witness the hallucinations of Parc Güell and the immense, unfinished dream in stone that is Sagrada Familia. As with so many dreams its meaning is not wholly clear. 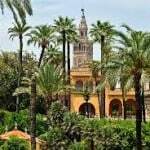 He is won by the drama and sensual beauty of Seville. The music of Bizet`s Carmen, the wanton gypsy, is in his ears as he visits the beautiful but deserted arena of death that is the bullring in late April and is instructed on the respect paid to a triumphant bull. Its hide is displayed on the wall for all to see and admire. He walks by the historic Guadalquivir and lunches beneath palm trees in the shade as young Carmens stride confidently to the nearby university. Then he admires the exotic, creative splendour of the Alcazar de los Reyes, one of the great legacies of Islamic Spain. He visits the huge cathedral, the Giralda and desperately climbs to the high tower to escape the cacophony of tour guides below. There the magnificent buildings that line the sunlit river amply reward the effort. 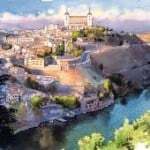 In Toledo, the ancient capital, he visits the splendid house of El Greco who settled there from his native Crete and strolls in its ample courtyard above the Tagus that twists and writhes its way below. He puzzles at the mystery that all roads in Toledo go uphill as if on a perpetual march to heaven. He finds himself as the only diner in a restaurant where the bored waitress longs to escape from this treasure-house of Spanish culture since her idea of heaven is eternal rock concerts in London. He ends his stay with a visit to a shop in a quiet square where varieties of swords, knives and entire suits of armour are on display. He inquires of the scholarly proprietor just who buys entire suits of armour and why? 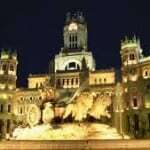 In Madrid he finds a stately, friendly capital, combining the past and a modern present in the way that Spain does well. He is delighted by the magnificent cuisine available within walking distance at any hour of the day or night. He wonders at the 3,600 rooms of the Royal Palace and considers the problems of losing one`s car keys in it. 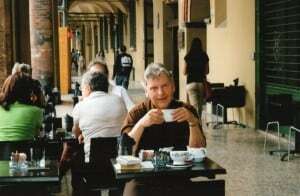 On Sunday with his companion, Audrey, he visits El Rastro, the stunning open market where no object is too large, too small, too old, too new or too strange to find a buyer. With his companion he goes to a late-night Flamenco performance where they drink wine with two American couples just off the plane from Florida, not at all sure what they were about to see. They prove to be great company before they are all mesmerised by the wild passion of Flamenco, so abandoned yet so disciplined. 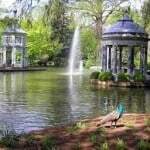 Finally, he takes the train to the Royal Palace and gardens at Aranjuez to experience for himself the scene that inspired the world-famous guitar concerto of Joaquin Rodrigo. He shrugs off his encounter on the train with the only drunk he has ever met in Spain and wonders that the confused gentleman follows the same script, albeit in translation, as those he used to find on the late-night bus in his native Glasgow. 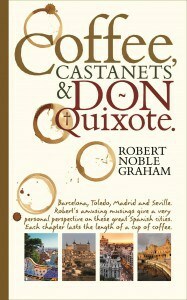 The author knows very well the violence, turmoil and political battles that have created modern Spain. He is well aware of the tensions that remain in it. However, he knows the language and the history of the peoples, Phoenicians, Celts, Germanic, Latin, African and Arabic who brought their own contributions. 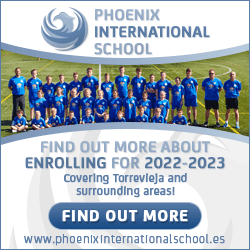 His aim is to enjoy the beauty and interest that has survived these turmoils and makes modern Spain a country of unique charm and interest for the traveller who takes a little trouble. The reader can enjoy all the wonders with no more trouble than preparing a good cup of coffee, switching off the telephone and reading.